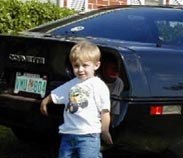 Carter Jacob is the first grandchild of the Hankins who are members of Corvette Club of Kansas City in the West Region. Papa Vette can't wait until Carter's parents allow him to get behind the wheel of his Corvette! 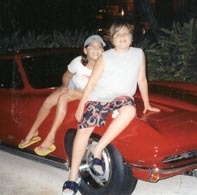 Jordon Michelle is thinking about her next ride in her grandparents' 1999 Vette! 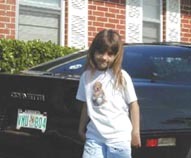 Her T-shirt says it all ~ she'll be driving a Vette someday! 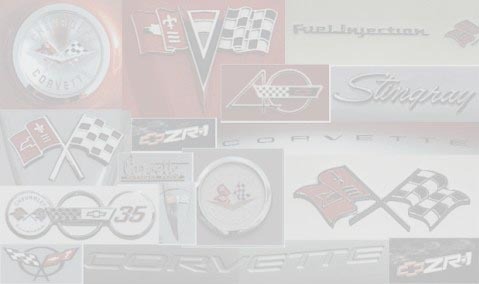 Jordan's Grandpa & Grandma are members of Corvette Coventry of SW Michigan in the Michigan Region. Miranda is just hanging out by her Grandparents' 1984 Corvette on a nice sunny day. 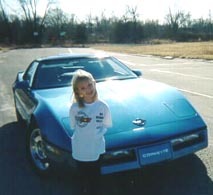 Her Grandpa & Grandma are members of Oklahoma City Corvette Club in the Southwest Region. Robert also got a chance to pose with that shiny '84 Vette! He looks like he's thinking about what he'd really like to be doing with that Vette! Grandpa & Grandma are members of Oklahoma City Corvette Club in the Southwest Region. 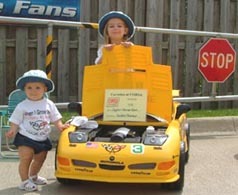 Caylie and her little sister Hannah (FCOA 2261) show their Corvette in June 2004 at the Corvettes at Corsa show. Their Daddy Tim (FCOA 0123) and Mommy Cherri are members of Corvette Cleveland in the East Ohio Region. Patrick is from the Corvette Club of Arizona. Patrick collects hot wheels and matchbox cars. While at a car show in Seattle he told his mom which cars and trucks to take pictures of. Sounds like he has already got the "cool car bug"! 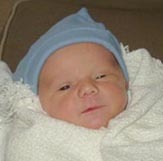 Anthony Frank became a member of FCOA when he was just a few hours old! Grandpa made sure of that! Since his Mom is also a member of NCCC, you just know what his favorite car is going to be. He's been at a few Speed Events already ~ sleeping his way through them. His Grandpa is a member of Corvette Club of Michigan, one of the oldest Clubs in NCCC. Perry & Gianna enjoyed posing on top of this mid-year on display at Disney World ~ never can do that when dad's showing his modified 1981! 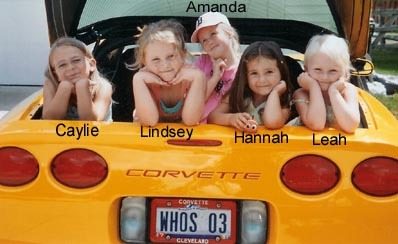 Their parents are members of Windy City Corvettes in the Midwest Region. Keeleigh Danielle sure looks like she's about ready to go for a ride in her Great-Grandparents' 1998 Vette. Her Great-Grandparents are members of Colorado River Corvette Club in the Roadrunner Region.